To many riders, the word “cruiser” is synonymous with heavy, expensive machines that often can’t get out of their own way. Times, however, have changed and cruisers are not what they once were. There’s now a whole breed of responsive, fast cruisers that can handle urban riding with just as much aplomb as they can the open road. These lighter, nimbler machines beg to be thrown into curves, and in return they deliver miles of smiles. We’ve picked out the best of these motorcycles, and if you’re thinking of entering the world of cruiser riding, you owe it to yourself to explore these powerful ponies. Most are priced under $10,000, and all are poised to deliver a riding experience like no other: part sport bike, part cruiser, and 100% fun. 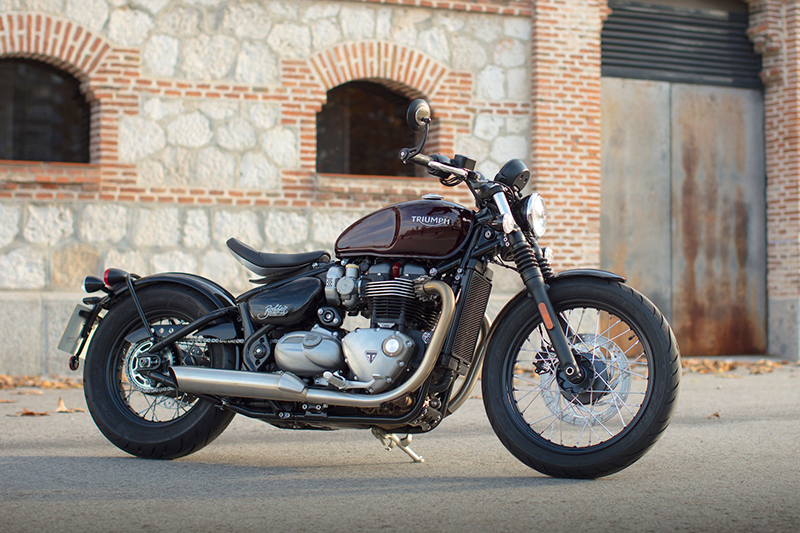 Triumph Bonneville Bobber -- If style has always been at the forefront of what you're looking for when it comes to the best cruiser motorcycle, then you can't go wrong with the Triumph Bonneville Bobber. A 1200cc parallel twin-cylinder engine kicks out a considerable amount of torque, and with its solo seat and aggressive stance, it’s like no other cruiser on the road. At $11,900, it’s the most expensive bike in our list, but it’s a small price to pay for this much cool and performance. 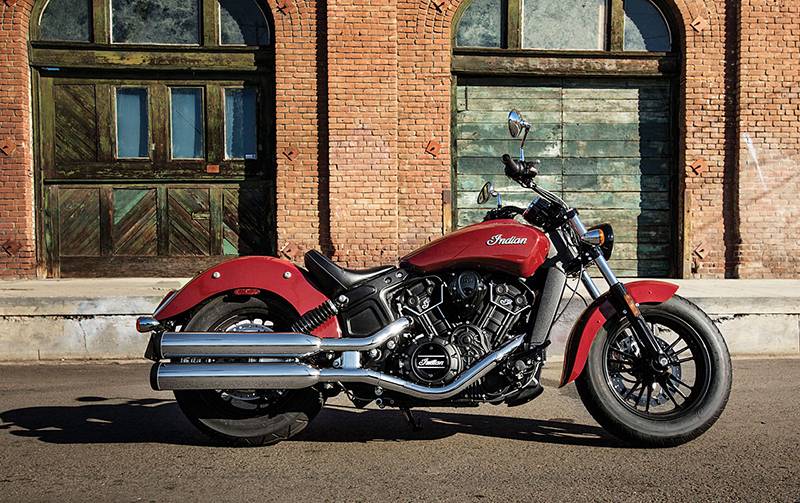 Indian Scout 60 -- Like its name suggests, the Indian Scout Sixty has a 60 cubic-inch V-Twin engine that’s liquid cooled. It runs smooth as silk thanks to engine balancing, but starts to growl when you twist the throttle. An all-aluminum chassis and low center of gravity mean best-in-class handling. With a blacked-out engine, gearbox, frame and wheels, the Scout Sixty surprisingly has four color options to jazz it up a notch. Better yet, at $8,999, the Scout 60 won’t force you to take out a second mortgage. Harley-Davidson 883 Iron -- Few motorcycles are more elemental than the 2017 Harley-Davidson Sportster Iron 883. Stripped down to the basics, it’s a traditional motorcycle that is part cruiser and part retro sport bike. With the suspension firm, but not harsh, the Iron 883 is happy to make its way through the canyons with an admirable confidence. 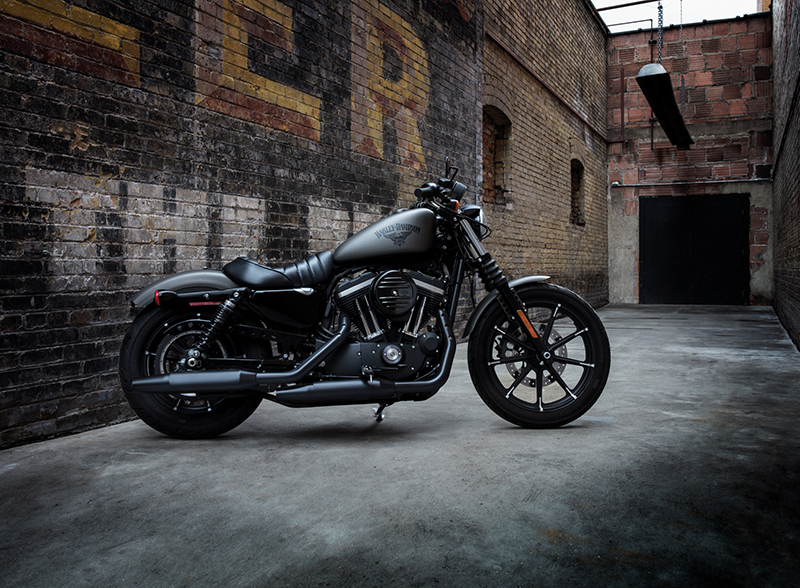 Starting at $8949, the Sportster 883 Iron is a great machine to get a taste of what raw cruising is all about. 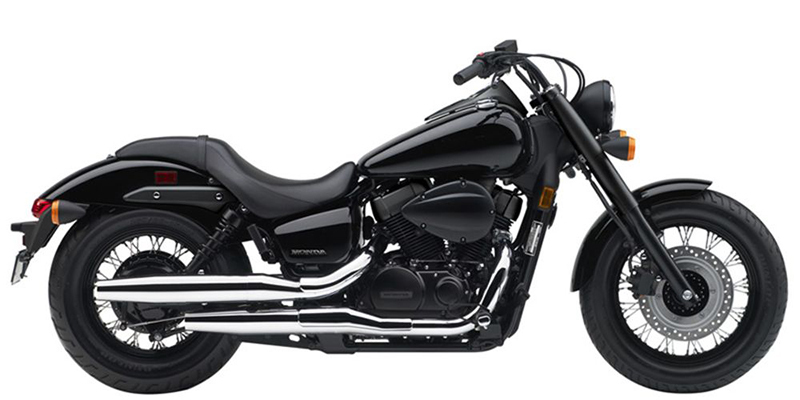 Honda Shadow Phantom -- The 2017 Honda Shadow Phantom is a great blend of modern ingenuity and comfort. It comes equipped with a 745cc engine with a 3.7 gallon fuel capacity and claimed combined fuel economy of 56 MPG, plus its unique blacked-out looks makes it stand out from the crowd. Priced at only $7,699, it’s the bargain of the bunch.